When it comes to good fitness and nutrition, the single most important thing is not which muscles you work or what food you put into your belly, but your mental attitude toward the process. Get your mind right and work on things like patience, consistency, and resiliency. 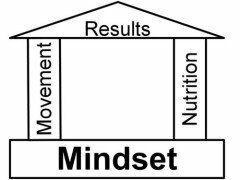 Your mindset sets the tone for your perception of the process. 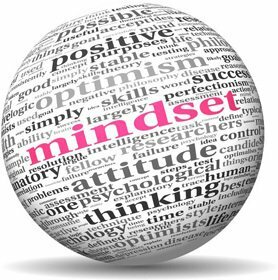 When your mindset is on point, the urgency and helplessness go away, and that’s when real, sustainable change occurs. Take a moment and assess where you are as an athlete (and, yes, we’re all athletes). What do you like about what you’re doing? What would I like to change? This is a simple exercise, but many people don’t take a moment to examine their motivation. It could be that you’re bored or stuck or need to change your training. But it could be that your definition of success is unrealistic. has to be something that’s “reasonable, realistic and conceivably achievable for you to attain. Once you’ve defined success, you can set goals for yourself that are related to the self assessment. It’s important to aim high, but they also should be rational and reasonable goals. Ask yourself questions. Why do I want to get there? What do I expect to get out of the change, should I achieve it? What do I think I can reasonably expect to do? What are the sacrifices and can I commit to them? (Do I really want to?) Answering those questions provide the focus and concentration you must have in order to have the best chance of success. If you have set more than one goal, where do they rank? What’s the most important to achieve? Which is the least? What about priorities between your new goal(s) and other aspects of your life such as family and career? If juggling needs to be done, it will be very helpful to do some thinking about that. Keeping everything in balance is key. This means putting yourself in charge of the whole process, adopting a can-do attitude and perspective, not depending on anyone else but also not taking anyone else’s direction. Advice on both process and content (from coaches, trainers, mentors) is important, but avoid direction in the sense of “you must do this.” You’re solely responsible for success or failure. The key is to be ready to explore your limits while recognizing limitations. 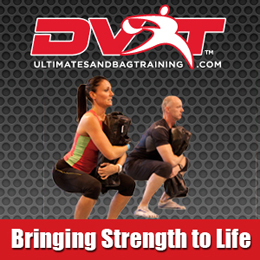 Looking to take your fitness level with proper exercise, motivational tools and nutrition coaching? Call us today to set up a success session at (917)432-9418.